Our Business Card Magnet with Small Bag of Jolly Ranchers candies is ideal for company picnics and parades. 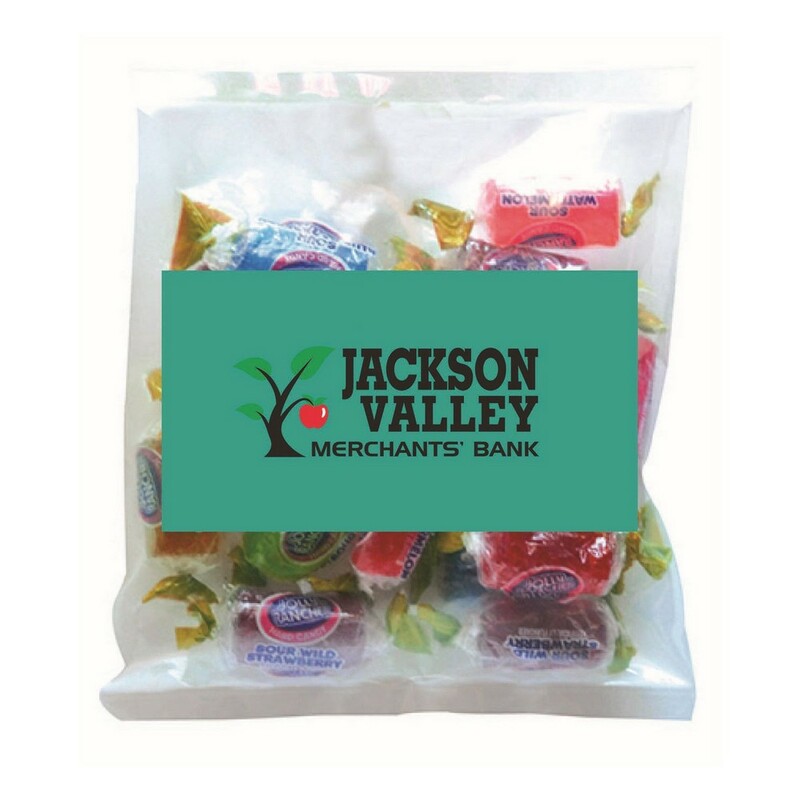 Dimensions: 2" x 3.5" x .01 "
Bring a smile to the recipient's face and have a positive effect on their mood, by giving them the Small Bag of Jolly Rancher candies. It comes with a business card magnet to imprint your brand name and logo, which ensures that the recipients will remember your promotional message, long after the treats are relished. The candy’s long lasting, bold fruit flavors, will make you feel like you are on cloud nine. They can be enjoyed on their own or used to decorate home baked treats. They are also ideal for company picnics, parades, and the office candy jar, and are sure to gain widespread recognition for your brand.